SAN FRANCSICO (KGO) -- San Francisco Giants ace Madison Bumgarner is getting praise from the San Francisco ballet because of a play that got their attention. Madbum, who's 6 foot 4 inches and 250 pounds, was forced to make a leaping catch, successfully executing a pirouette to get the out. The ballet even offered him a job. 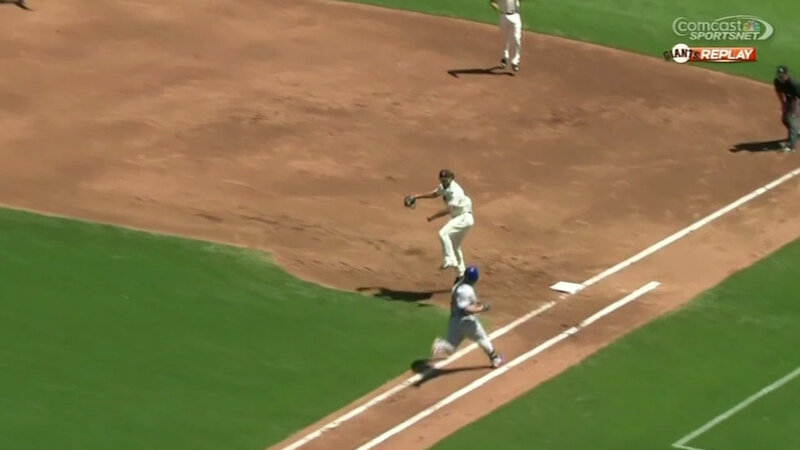 It commented on the Giants' Facebook page, "That's some baseball ballet right there. There's always a spot at the barre for him here at the San Francisco Ballet."